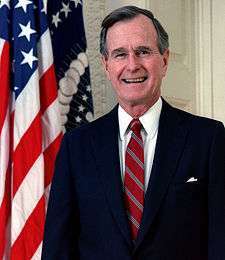 The 1990 State of the Union address was given by President George H. W. Bush to a joint session of the 101st United States Congress on January 31, 1990. The speech lasted 35 minutes and 43 seconds. and contained 3777 words. The Democratic Party response was delivered by House Speaker Tom Foley (WA). 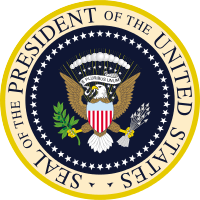 Edward J. Derwinski, the Secretary of Veterans Affairs, served as the designated survivor. ↑ "Length of State of the Union Addresses in Minutes". Presidency.ucsb.edu. Retrieved 2012-09-27. ↑ "Length of State of the Union Addresses". Presidency.ucsb.edu. Retrieved 2012-09-27. ↑ "List of Opposition Responses to State of the Union Addresses". Presidency.ucsb.edu. Retrieved 2012-09-27. ↑ "Cabinet Members Who Did Not Attend the State of the Union Address". Presidency.ucsb.edu. Retrieved 2012-09-27.